China’s actions to reduce pollution have curbed production of needle coke, a key feedstock material used for manufacturing graphite electrodes. 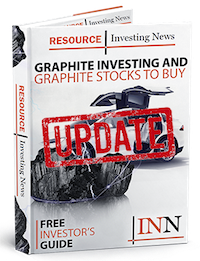 Chinese spot graphite electrode prices have reached $30,000 per MT, a 300-percent increase since January. There are two factors behind this year’s price increase. The first is China’s actions to reduce pollution — the country’s clean-up efforts have curbed the production of needle coke, a key feedstock material used for manufacturing graphite electrodes. The second is refinery shutdowns along the Texas Gulf Coast caused by Hurricane Harvey. Needle coke production has also been affected by those closures; in fact, an unnamed steelmaking executive reportedly told Platts that the world’s largest graphite electrode maker, GrafTech International (NYSE:GTI), declared force majeure in response to the needle coke supply issues caused by the storm. On the back of disruptions to US needle coke production, the share prices of graphite electrode suppliers in India have been rising. Graphite India’s (BOM:509488,NSE:GRAPHITE) share price is up over 40 percent in the past month, while HEG’s (BOM:509631) is up over 100 percent. Graphite electrode supply concerns have prompted Axel Eggert, director general of the European Steel Association, to say that primary and secondary steel production could be “seriously affected.” European steelmaking consumes 226,000 MT of graphite electrodes annually, with 60 percent of smaller ladle furnace melting sticks being sourced from China.